For over a century Rolls-Royce have been famous around the world for making some of the most exclusive, finely-crafted, British luxury cars. So what is the story behind the legend? In 1913, when Rolls-Royce had been building cars for a little over nine years, four Rolls-Royce Silver Ghosts lined up to enter the Alpine Trial, a rally consisting of 1820 miles of gruelling mountain terrain, the toughest automotive endurance test at that time. Rolls-Royce Motor Cars history records how the Silver Ghosts dominated the event, taking the top four places on all but one stage. This feat not only awarded them the prestigious Archduke Leopold Cup but established the marque as the ‘Best Car in the World’, both a belief and philosophy that remains to this day. Rolls Royce was founded in 1906 after Sir Henry Royce, a successful engineer met Charles Stewart Rolls in 1904. 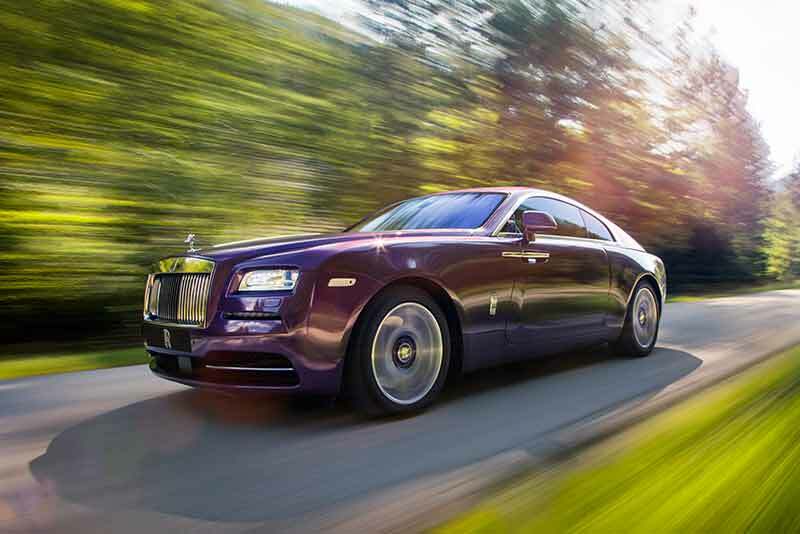 Rolls had recently opened one of the first car dealerships in the United Kingdom. Royce was frustrated by the quality of cars and set out to design and build his own car, the 10hp ‘Royce’. The meeting went well and after a drive in the 10hp Royce, Rolls was impressed and agreed to sell all the cars Royce could build. Rolls famously said after the meeting, “I have met the greatest engineer in the World.” They also agreed that henceforth, the cars would be known as Rolls-Royce motor cars. Their first car the Rolls-Royce 10 hp was first seen at the Paris Salon in 1904. An improved version of Royce’s earlier prototype. The 10HP featured a 1.8 litre twin-cylinder engine (later enlarged to 1995cc) producing 12HP, giving the car a top speed of 39mph. 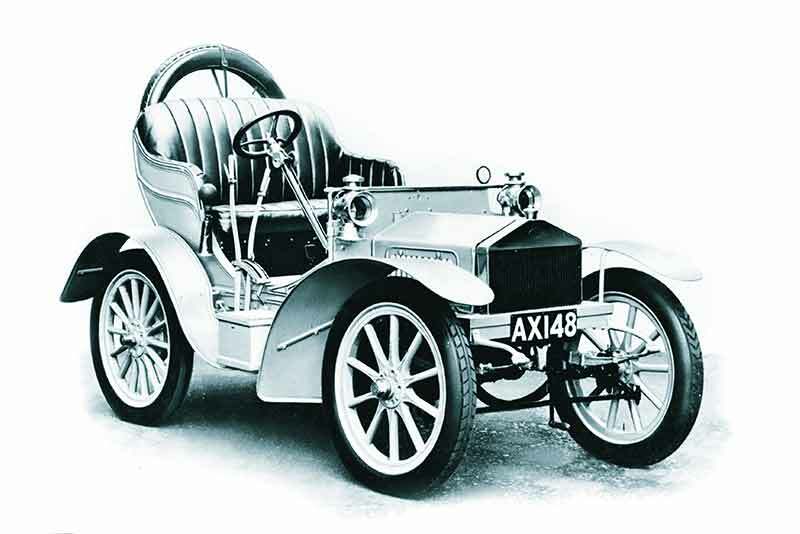 Sixteen 10hp cars were made in total, the last in 1906. At least four of these cars are still in existence, with a 1904 10HP selling for £3.6m at auction in 2007. The original Rolls-Royce logo was two R’s overlapping each other with Rolls and Royce written at either end. This was joined by the “Spirit of Ecstasy”, the silver flying lady statue on top of the bonnet in 1910. 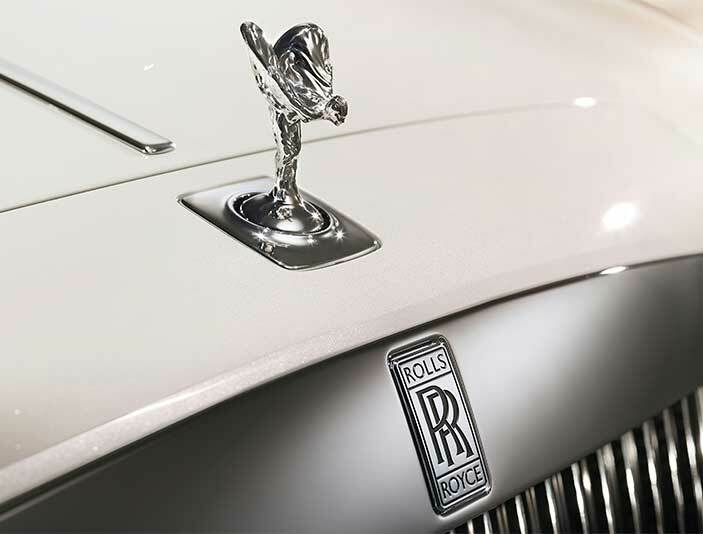 The story behind this world-famous mascot, is an interesting part of Rolls-Royce Motor Cars history itself. The mascot, originally titled ‘The Spirit of Speed’, is based upon an earlier mascot Sykes had designed for the 2nd Lord Montagu of Beaulieu. This mascot, known as ‘The whisper’, shows a lady in a flowing dress, finger over her mouth, rumoured to symbolise the secret affair Lord Montagu was having with his secretary, Eleanor Thornton (herself allegedly the inspiration behind the mascot). Keeping Thornton as the model Sykes adorned her with wings and the “Spirit of Ecstasy” was born. On 1 January 2003 the Rolls-Royce opened for business at new headquarters, designed by world-renowned architect, Sir Nicholas Grimshaw, at Goodwood, UK. The first car was presented to its delighted customer at one minute past midnight. Today Rolls Royce make the Phantom, Ghost and Wraith models. Rolls Royce owners and enthusiasts have the choice of a number of Car Clubs in the UK and worldwide. Please see our Rolls Royce Clubs page for more information.